Ginny's Gems: NJ Custom Jewelry Design - Silver, Gold, Platinum, Wedding rings, and Custom Engraving,glass, crystal Limited only by your imagination! Ginny's Gems is a family owned and operated full service jeweler since 1980 with the needs of our customers always first in our minds. We have over 17,000 customers who have come to know that we provide quality products at affordable prices. All of our personnel have been trained by the Gemological Institute of America (GIA). We are constantly trying to improve the quality of our service with the latest training and tools available. This is extremely important to us so that we can provide the best quality and service to our customers. We specialize in Custom Jewelry Design in all metals including gold, platinum, and silver. We have won International Design Awards and have been published in magazines such as, Professional Jeweler and National Jeweler. All of our custom jewelry designs begin with your input and develop through drawings, then wax carving models, casting and assembly. We only use top quality diamonds or colored stones in all of our designs. Through our entire process you have total control because we do everything ourselves. One of our many specialties is custom wedding rings. We can make a wedding band or insert to match any engagement ring! We also do all types of jewelry repairs and engraving on premises. Our engraving services include the ability to engrave all materials including sandblasting in glass and crystal. We specialize in unique designs in our glass engraving. Our crystal engraving is second to none with affordable pricing on all of our products. We do Custom Design Logo work without the need for specialized artwork. We carry a complete line of engraved gifts with FREE ENGRAVING on any item purchased from us. 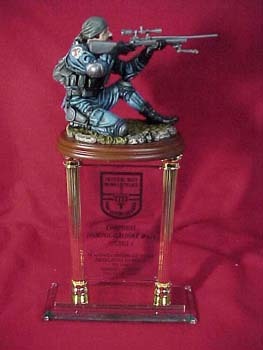 We also do Custom Awards in all materials designed specifically to your needs. We carry corporate awards in variations of materials and since we custom build a lot of our pieces we can mix glass, crystal, marble and many other materials to provide a unique award or gift for anyone. Quantities can be as small as one piece or as many as you would like. Please visit our Engraving Designs Gallery for a sample of some of our designs. IJO - Independent Jewelers Organization, This organization is made up of approximately 1000 small independent retail jewelers. With this groups buying power we are able to buy at the same level that the major chains can which allows us to pass on higher quality and lower prices. 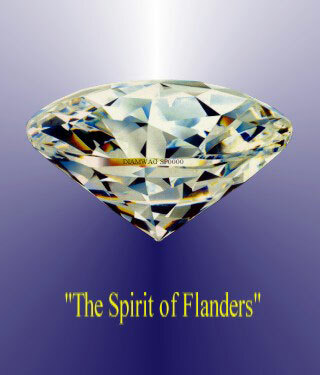 Because of this group we buy diamonds directly from the diamond cutters in Belgium and have exclusive rights to many fine cuts such as The Spirit of Flanders Diamond with its 80 facets and unbelievable brilliance. JVC - Jewelers Vigilance Committee, This organization is the industries guardian of ethics and Integrity. As a member we pledge our company and all of its employees are committed to full compliance with all of the laws and regulations which pertain to the manufacture, sale and advertising of jewelry and jewelry products. MJSA - Manufacturing Jewelers and Silversmiths of America, This group provides us with the latest technology in custom jewelry design and the manufacturing techniques of high quality jewelry. JIC - Jewelry Information Center, is a not-for-profit association founded in 1946 to provide public relations for the entire fine jewelry industry. Through its work with national and local media, it provides consumers with information about fine jewelry, how to buy, how to care for it, its history, and new product trends. © 2016 Ginny's Gems. All rights reserved.